The West Coast region of New Zealand is located on the west coast of the South Island and it includes the districts of Buller, Grey and Westland. It reaches from Kahurangi Point in the north to Awarua Point in the south, a distance of 600 km. To the west is the Tasman Sea and to the east is the Southern Alps. The region has a very high rainfall due to the effect of the Southern Alps. It has many scenic areas, including the Haast Pass, Fox and Franz Josef Glaciers, the Pancake Rocks at Punakaiki and the Heaphy Track. Major towns on the West Coast are Greymouth, Westport, and Hokitika and a recreation of an early New Zealand settlement can be found at Shantytown. Major industries on the West Coast include mining for coal and alluvial gold, forestry and wood processing, fishing including whitebaiting and tourism. Other industries are the manufacturing and sales of greenstone (jade) jewellery, sphagnum moss gathering and stone-collection for garden landscaping. Blackball is a small town located on the West Coast of the South Island of New Zealand. Fox Glacier has been on the move since 1985 and in two years alone moved an astonishing one kilometre - a spectacular sight to see. There's a petrol station in the nearby town, the last fuel stop heading South until Haast. Other attractions in Fox are the glow worm caves to view at night, the superb views of the glacier and mountains, and the famous Cone Rock - worth a climb. First explored in 1865 by Austrian Julius Haast who named it after the Austrian Emperor. A splendid swift river of ice flowing down from the Alps. Fringed by forests and backed by mountains. 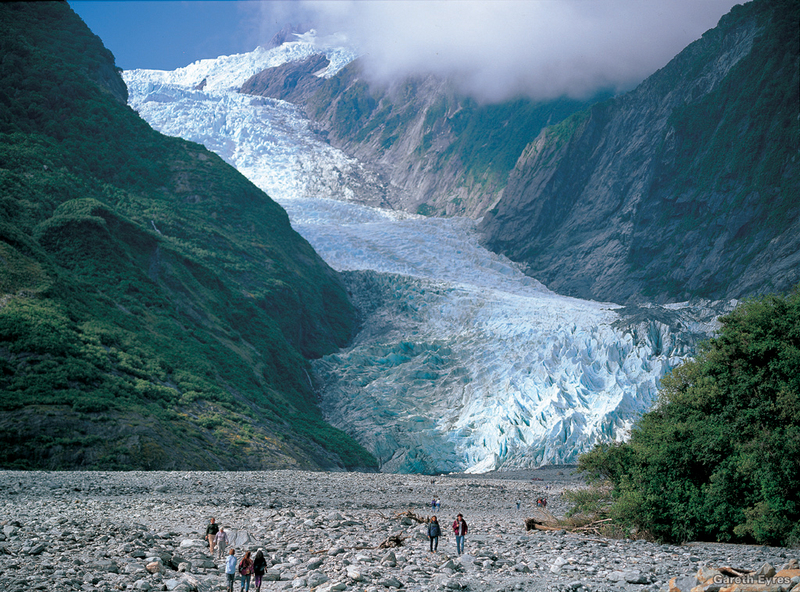 Scenic walks around the glacier with experienced guides are available as are other walks such as Peters Pool, Roberts Point and Terrace Track. Scenic flights or heli-hikes are highly recommended. From November to March there's milky white water rafting on the Waiho River. Greymouth is the largest town in the West Coast region on the South Island of New Zealand. The town is located at the mouth of the Grey River. 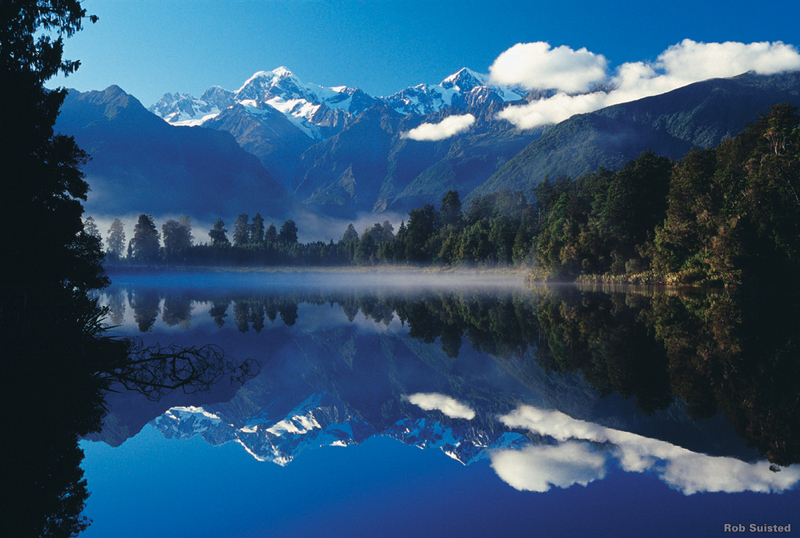 It stands on narrow coastal plains close to the foot of the Southern Alps. In clear weather, Mount Cook can be clearly seen to the south from near the town. The mouth of the river divided the town into three areas: Blaketown, close to the river's mouth on the south bank; Karoro, to the southeast, sepaprated from Blaketown by a series of small lakes; and Cobden, formerly a separate town, on the river's north bank. Greymouth is 38 kilometres north of Hokitika and 100 kilometres south of Westport in the north. The highway from Greymouth to Canterbury passes through Dobson and Reefton and eventually reaches Christchurch via Arthur's Pass. The Grey District also includes the settlement of Runanga. Maori had lived in the area for considerable time before European settlement, and called it Mawhera (still an alternative name for the Grey River). The first European to visit the site of what is now Greymouth was Thomas Brunner in 1846. Brunner discovered coal in the Grey valley, and several places in the region (notably the town of Brunner and Lake Brunner) bear his name. Brunner himself named the Grey River after prominent 19th century New Zealand politician Sir George Grey. Greymouth has a history of coal and gold mining. Then the gold industry started to decline, forestry became a new staple industry, and fishing is also important to the town, despite the fact that the entrance to the Grey River has a notoriously dangerous sandbar. Ecotourism is also becoming a major money earner for Greymouth. Haast is a town on the West Coast of New Zealand. It is spread amongst three small localities called Haast township, Haast Beach and Haast Junction and is located close to the mouth of the Haast River. The main economic activities are farming, fishing and tourism. It is set within the Te Wahipounamu World Heritage site. The town is named after Julius von Haast. European settlement of the area dates back to the 1870s. It was not until the 1960s that Haast had formed roads connecting it to the rest of New Zealand. Up to that point Haast was serviced by rough tracks from the North and West. The small town of Harihari made world headlines when Guy Menzies completed the first solo flight across the Tasman Sea from Sydney Australia, also breaking the flight time by two and a half hours. Harihari has some popular walks, the Doughboy walk looks out over the coastline, forest and mountains. Theres a walk up the Wilberg Range or the old goldmines pack track, try trout and salmon fishing and explore the estuaries and wetlands of the Poerua and Wanganui Rivers. Hokitika is a township on the West Coast of New Zealand, 38 kilometres south of Greymouth, and close to the mouth of the Hokitika River. Founded on gold mining in 1864, it was a centre of the West Coast goldrush. By late 1866 it was one of the country's most populous centres. It became the capital of the short lived Westland province in 1873. The major industries of gold, coal, and forestry have all dwindled over the last century, but a growing ecotourism industry has grown up and the town is starting to show signs of recovery. It has become a major tourist stop on the West Coast's main highway route, with carving of greenstone an important local industry. The small town of Reefton is located in the west of New Zealand's South Island, some 80 kilometres northeast of Greymouth, in the valley of the Inangahua River. Formerly a gold and coal mining town, coal and forestry make up the main two industries of Reefton today. The rich veins of gold found in a quartz reef near the town led to its name, and also its former delightful name of Quartzopolis. Gold was discovered near the town in 1866, although the major discovery did not come until 1870. One feature of historical note about Reefton is that it was the first town in the Southern Hemisphere to be lit by commercial electric power, in 1888. Ross is a small town located on the West Coast of New Zealand's South Island. It lies 30 kilometres southwest of Hokitika. The town's chief industries are farming and forestry. Ross was an important centre during the West Coast goldrush of the 1860s. Westport is a town in the West Coast of the South Island of New Zealand. It is situated 100 kilometres north of Greymouth, and with Nelson in the northeast, via the Buller Gorge. 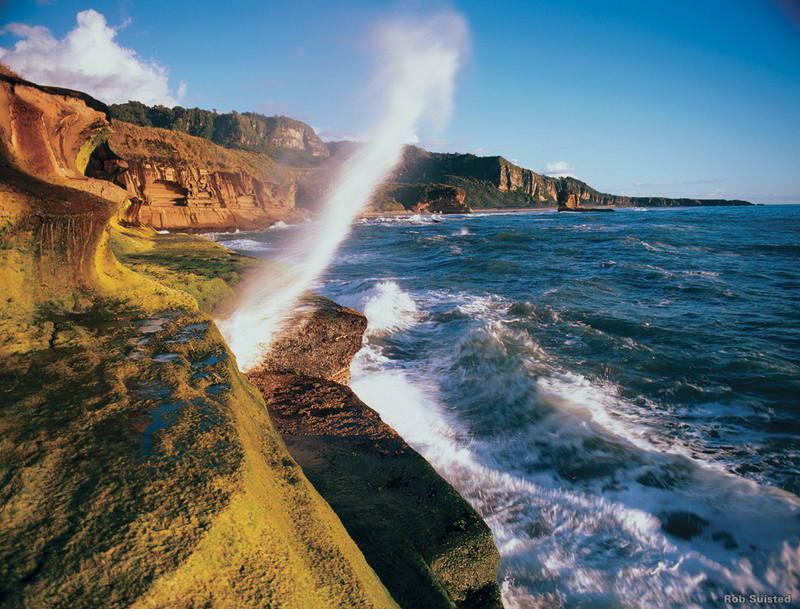 Westport is located on the northern bank and at the mouth of the Buller River, close by the prominent headland of Cape Foulwind. Economic activity is based around fishing, coal mining and dairy farming.